A consortium of heavy hitters announced mid last month that they’ve taken the next step in solving what is arguably the smart home’s biggest problem: getting ‘smart’ devices to communicate with each other on a secure and reliable network. Members of the Thread Group consortium – including tech titans Google (Nest), Samsung, ARM and Silicon Labs – quite rightly identified that unless large companies worked towards an interoperable network, smart products would exist in silos. And silos don’t contribute to the concept of a smart, connected future. 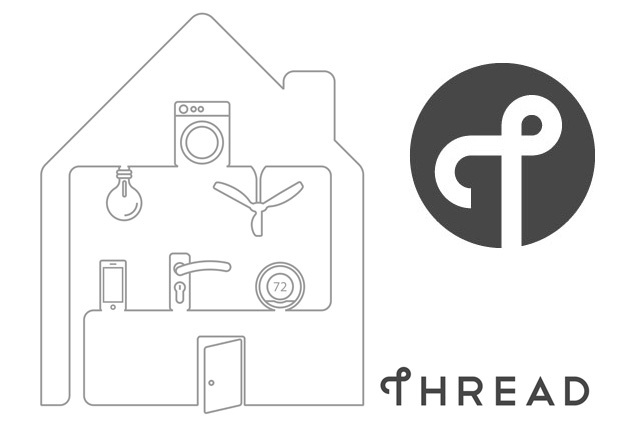 Working together, they’ve come up with Thread: a networking protocol that uses existing web standards to help all your disparate smart home devices talk to each other. The Thread Group proposition is essentially to improve existing leading proprietary standards such as Zigbee, or at least the technologies they are based on. If successful, the Thread Group could potentially not only integrate with the existing players within the protocol sphere, but also replace them. In a nutshell, the low powered mesh protocol works on the foundation layer of 6LoWPAN, which operates within the domain of IPv6 – 6LoWPAN allows for smaller devices with lower energy consumption to be participatory within the Internet of Things. In addition to this, Thread works as a low powered mesh network. 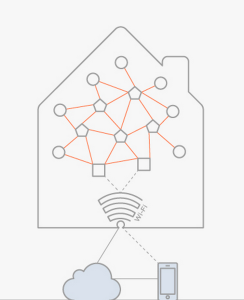 Instead of needing to connect devices to a centralized hub (Star) – connected homes currently utilise a central WiFi router to channel machine-2-machine communication – devices connect directly to each other without intermediaries. Meaning: when a device in the network develops an issue, the surrounding network can cope without loss of functionality. Think of an efficient road system: as a road is closed, traffic is redirected to avoid delays and keep the remaining destinations connected. It’s an efficient system that mitigates some of the most consistent inhibiting aspects of the network layer of the Internet of Things – especially in the home. Essentially, Thread differentiates itself by providing a holistic, reliable solution for connected homes. By providing a cost-efficient, energy harvesting and accessible network for devices to communicate on, they have reduced a significant barrier to entry for consumers. Cost efficiency and energy harvesting are of particular importance here: as aforementioned, devices within the home – on the vast majority – currently communicate via WiFi. WiFi communication was not created to connect devices at the low powered level and as such, it is an energy and cost inefficient solution – with simple communication draining significant amounts of power. Conversely, Thread utilises a low power network to remained synced, which has major implications for eventual dissemination in to the mass consumer market. In addition, as the protocol is already backed by a strong cohort of launch partners – more than 250 devices are currently Thread compliant – they are well positioned to make a serious impact in the connected home device market. The individual players in the consortium are clearly in a strong position to reap the rewards of their investment in Thread as well. With their high-profile investment in Nest, it’s no surprise that Google’s involved; nor Samsung, who are in talks to acquire smart home company SmartThings. Those who already own smart home devices that operate within the 6LoWPAN foundation will quickly see benefits – just a small software upgrade will enable them to connect their existing devices to the network and reap the rewards. While manufacturers may see a small increase in demand as existing smart home devotees add more devices, it’s unlikely that the announcement of the new protocol will be the magic tipping point into mass consumerization. For Apple fans, the news appears less rosy. Thread works with IEEE 802.15.4, which is directly pushing the standard away from Bluetooth – an area Apple is investing significantly. The key identifying factor as to whether Apple can resist Threads impending protocol takeover, will be their ability to make Bluetooth functional within a mesh network. Evidently, the Bluetooth consortium will not give up on mesh networking solutions, with rumours emerging already of successful implementation (CSR Mesh). With major players like Google and Apple facing off on the underlying protocols that define the network layer of the IoT, it’s difficult to imagine that the hoped-for, fully interoperable, connected smart home is on the horizon. Still, it’s heartening to see members of The Thread Group collaborating towards more open standards. At EVRYTHNG we see openness as a strength – and are big proponents of open interoperability within markets. Additionally, we’ve made significant investment towards achieving an open application layer that enables all devices to communicate and work within the Web of Things; which, interestingly, directly compliments Thread’s networking standards focus.